In a good film, the audience understands the story that the filmmaker is trying to show them, and feels what the filmmaker means them to feel. To be a successful filmmaker, you need to use different techniques to make sure this happens. You need to know what will happen if you frame a shot in a particular way; how you can use sound to help show what’s going on, and how to edit your shots together in sequences that build tension or emotion. 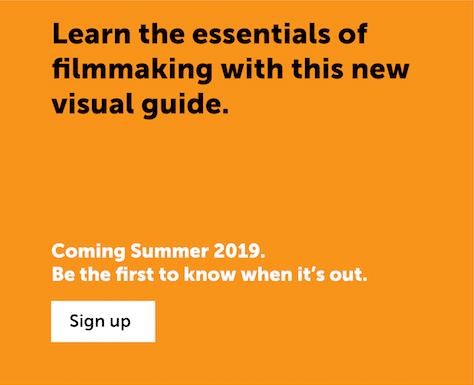 You need to know about film language. Here’s a one-minute film that uses different shot sizes, camera angles, movement, sound and editing to tell its story. This video includes the original movie, followed by a step-by-step text explanation of how it uses film language. Here’s more detail about how to use different aspects of film language. When you plan your pictures, you can think about shot size (how big things are), composition (how things are arranged in the picture), position (where the camera is), how you use or show movement, what kind of lens setting you use, and how the scene is lit. Think about exactly what to put in the shot, what to leave out, and how to arrange things in the shot. To make things look natural, put lines, edges or faces about a third of the way across, up or down the picture ‘frame’. To make them look formal, put them in the middle; and to make things seem uncomfortable, make the shot unbalanced or put it at on a slant. As well as shooting different shot sizes, you should film from different places. Get closer or move further away. See what the shot looks like if you move round to the side. Crouch down or use a ladder to get unusual angles. Most shots need some kind of movement to give them life. Keep the camera still to show subtle movements; move the camera – pan, track or tilt – to follow action or move through a space. Use wide angle (zoomed out) shots to get up close or make things dramatic, and telephoto (zoomed in) shots to make things bigger if you can’t get close. With bigger cameras, you can change the focus to pick out the important parts of the shot. Light doesn’t just help us see things. You can make the mood happy, sad, romantic or scary just by using daylight or room lights and basic reflectors. Sound is a really powerful tool for telling your story and helping make an impact. Your soundtrack can include all kinds of different sounds: natural sounds which you record live (or fake with sound effects), dialogue, voiceovers and music. Film-making is a bit like a magic trick. You can film a lot of different shots, add some sounds and music, and put it together so everything seems to flow naturally. You can shoot with one camera and make it look as if you have ten. You need to follow some tricks and rules to make this work. 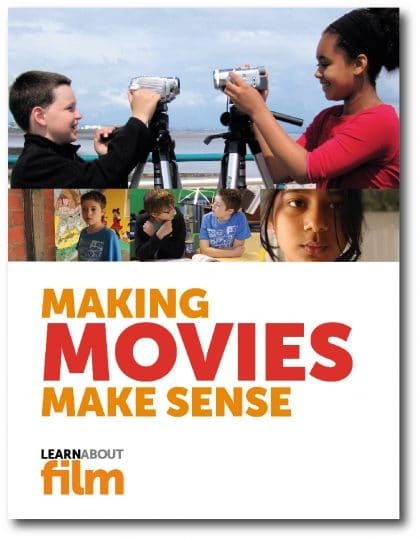 You can learn a lot more about film language by watching films, TV programmes and ads. Watch a short film (or part of a long film) and try to work out the reasons for the decisions the director made. Why did they put the camera there? Why did they include that in the shot? Why did they use that sound? Try watching some of the films in the Techniques and Ideas section. 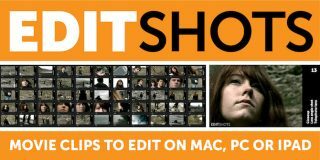 My education package Editshots will help you learn about film language and how to edit shots that will work together. 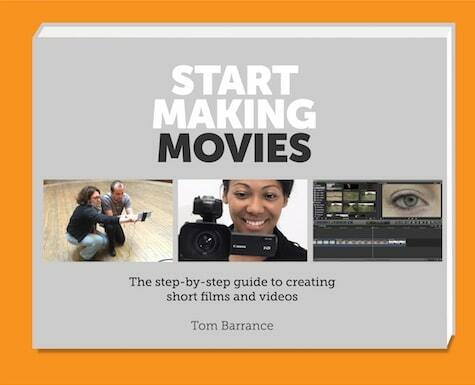 It includes a short film (55 shots) for you to edit, and a step-by-step guide. It’s only $15/£15 for individual use, or $50/£40+VAT for education. 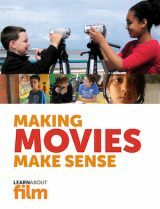 My new multitouch book Making Movies Make Sense (for iPad, Mac and iPhone) goes step by step through the essentials of film language, illustrated with over 50 video clips, stills, interactive images and audio clips. Aimed at ages 10 and upwards, it’s available on the iBooks store.